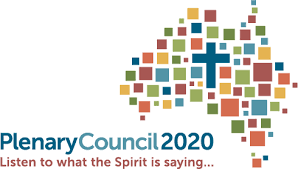 O God, bless and unite all your people in Australia and guide us on the pilgrim way of the Plenary Council. Lead your Church into a hope-filled future, that we may live the joy of the Gospel. Our Lady Help of Christians, pray for us. St Mary MacKillop, pray for us. You have called us together once again to do work that will further Your kingdom on earth. and for the advancement of the mission of our schools. We ask you to preside over our meeting and our labours, and to bless all our endeavours. Help us to build a community united in harmony of love and service. Watch over our families at home, at work and at school. We thank you, Lord, for everything that widens our knowledge and equips us more fully for the task of life and living. Give us the knowledge and prudence which will enable us to live our life well. Teach us to know our own weaknesses that we may ever be on our guard against them. Teach us to know our own strengths that we may use, to the full, the gifts and talents which you have given us. Help us to share a loving concern for each other at all times. Above all, Lord, help us to really know you, for this is the beginning and end of all wisdom, this is eternal life. Look lovingly on this group gathered here. During this meeting, as we discuss and deliberate on issues of importance to this school, help us to be guided by you Spirit. May we be wise in our discernment, balanced in our judgment, fair in our decision and visionary in our planning. Though we may, at times, have differing views, may we listen to one another and be guided by our common goals. May we always be mindful in our words and actions of what is best for all children in our school.